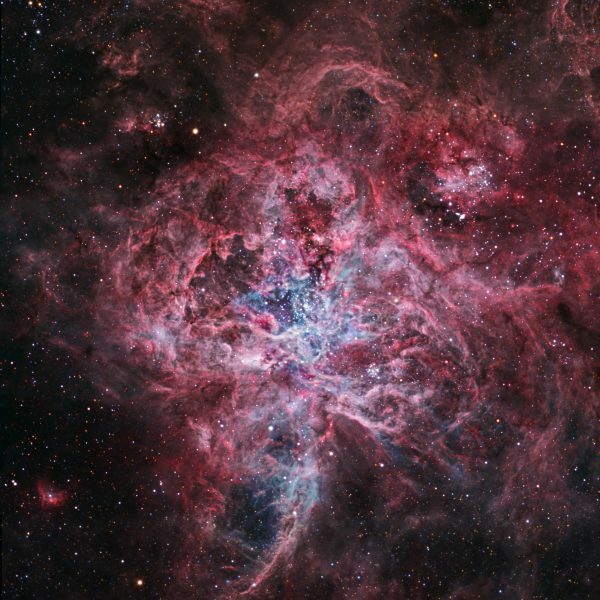 The Tarantula Nebula is located within the Large Megallanic Cloud, a smaller neighbor galaxy to our Milky Way, and about 160,000 light years distant. 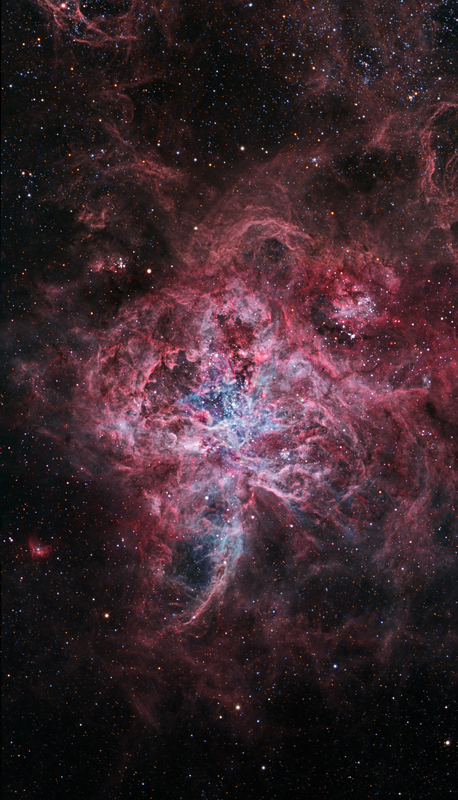 The Tarantula is quite luminous, and if it were located as close as the Orion Nebula (1500 lightyears), it would easily cast shadows! 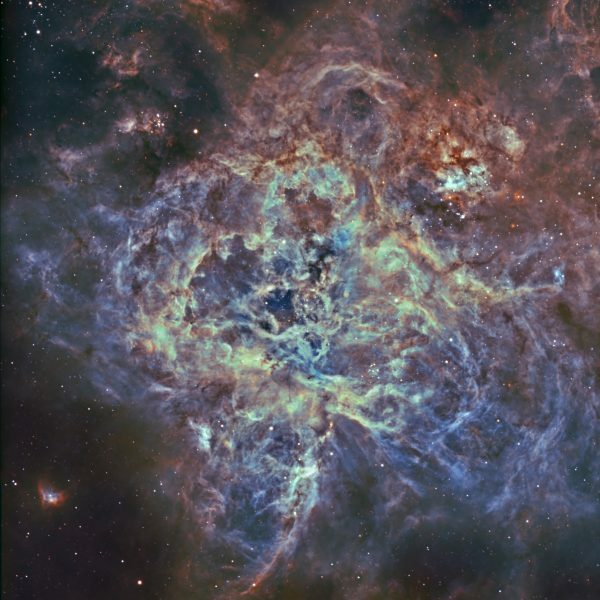 The closest supernova (SN1987A) since the invention of the telescope occurred in this nebula. The image dissolves between the broadband version, acquired using RGB filters, and the bicolor narrowband version, acquired using Ha and OIII filters. Clicking the image will bring up the full resolution broadband version.